Our Oatmeal cookies are a delicious wholesome snack any time of the day. Made with whole oats and plump juicy raisins or rich chocolate chips, these cookies are chewy and soft. These are so wholesome you can feel good about having two! 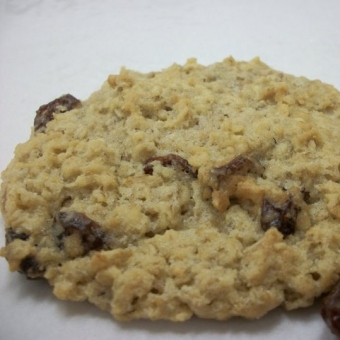 Size: -- SELECT -- Oatmeal Raisin Cookie 12 ct.Oatmeal Raisin Cookie 24 ct.Oatmeal Raisin Cookie 36 ct.Oatmeal Raisin Cookie 72 ct.Oatmeal Raisin Cookie 108 ct.